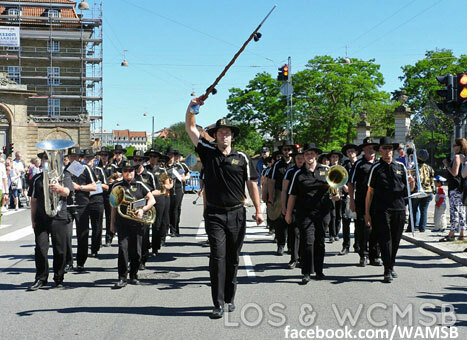 Chris Rice leading the band in Denmark. RESULTS are not yet to hand but the Derwent Valley Concert Band has arrived home from its latest overseas tour. The band had to leave Denmark before the announcement of results of the World Championship of Marching Showbands on Sunday and arrived back in Hobart on Monday night. 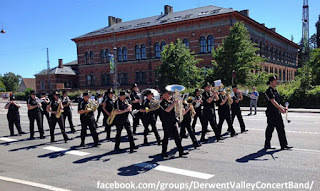 Late last week the band took part in a parade in the streets of Copenhagen, the Danish capital, and several images of that event have been sourced from Facebook.